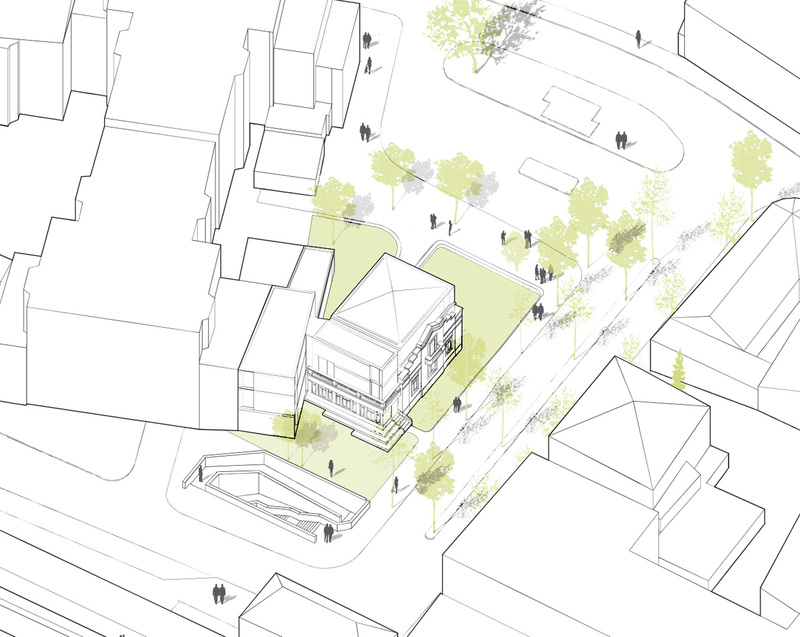 The proposal for the New youth Center aims for the regeneration of a marginalized area due to the transportation networks in its immediate context. In spite of the required size to accommodate the program demands, one of the main goals of the proposal was to avoid a large scale structure, minimizing its presence in relation to the surroundings. 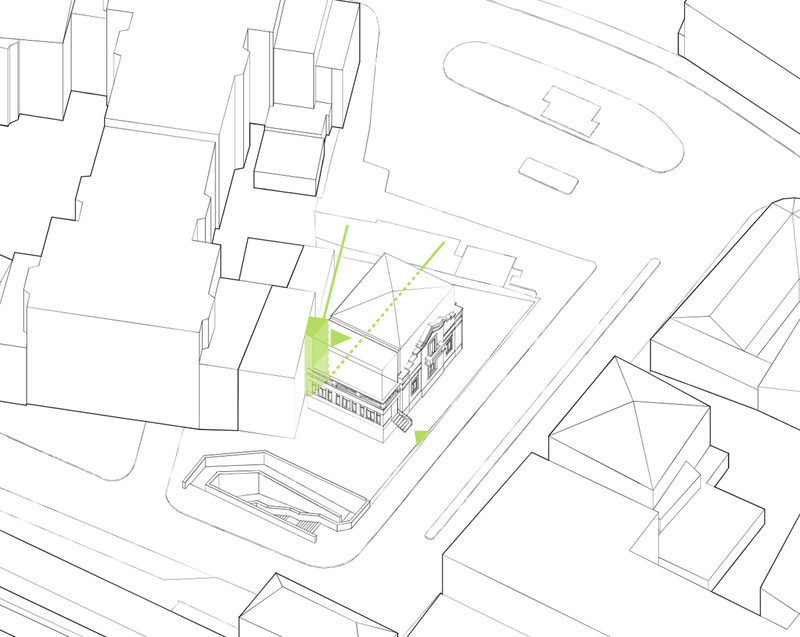 This way the resulting massing is defined by a composition of smaller volumes that articulate the context. 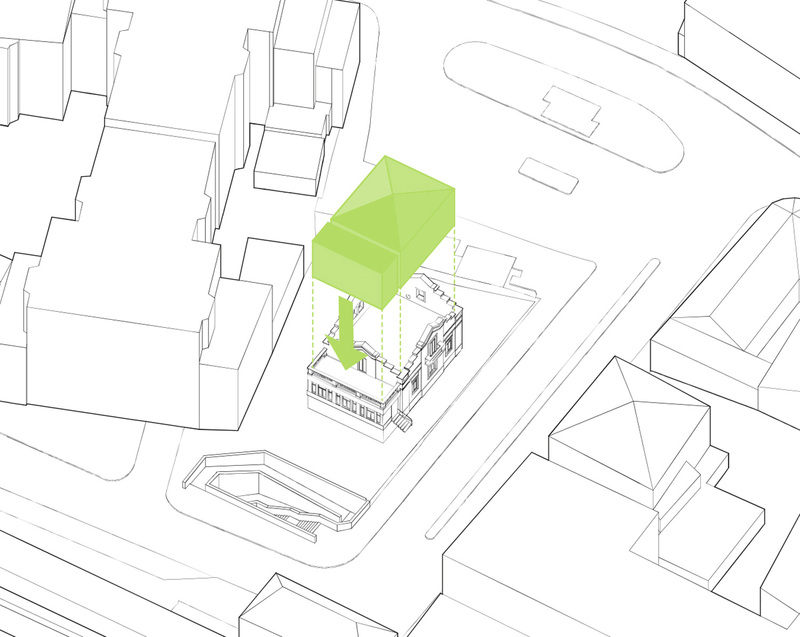 The volumetric strategy is to maintain the pre-existence of the historic building to which a floor is added, and to this, a new volume is connected that solves the gable at two heights created by the building to the west. 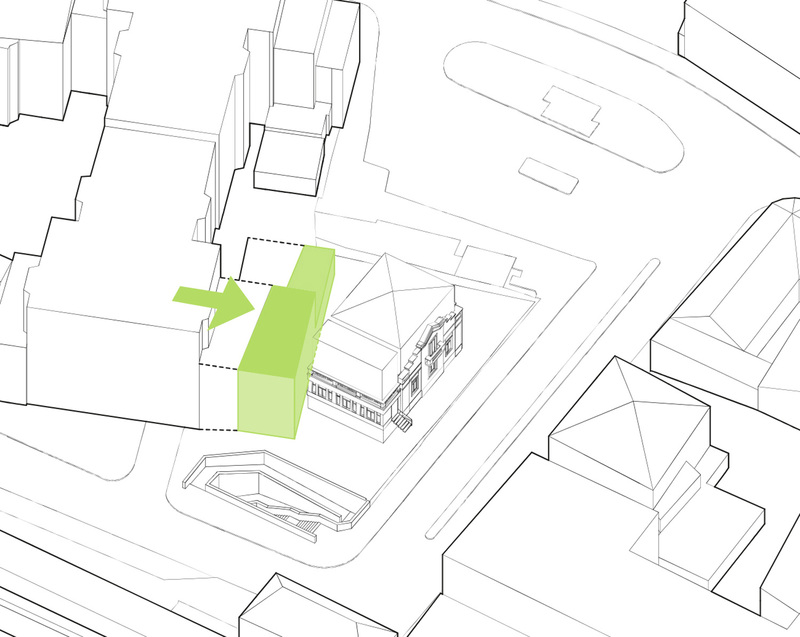 This way, the attached volume ensures a smooth transition between the proposal and the boundary of the adjoining buildings. 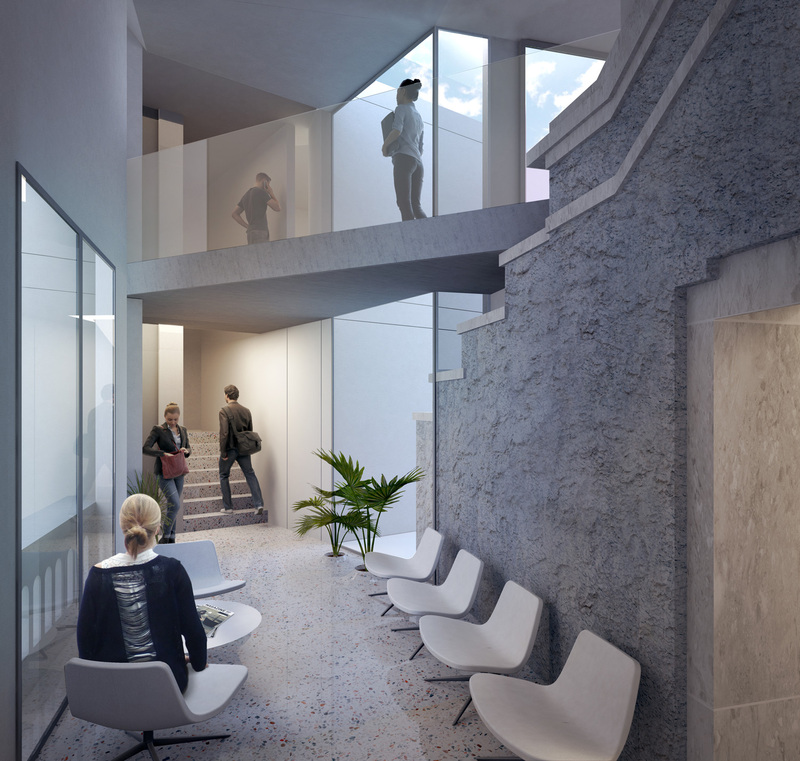 In order to preserve the original character of the existing structure, the original entrance is maintained by the staircase facing Rua das Clementinas, providing an entrance through the cafeteria and the multipurpose room. 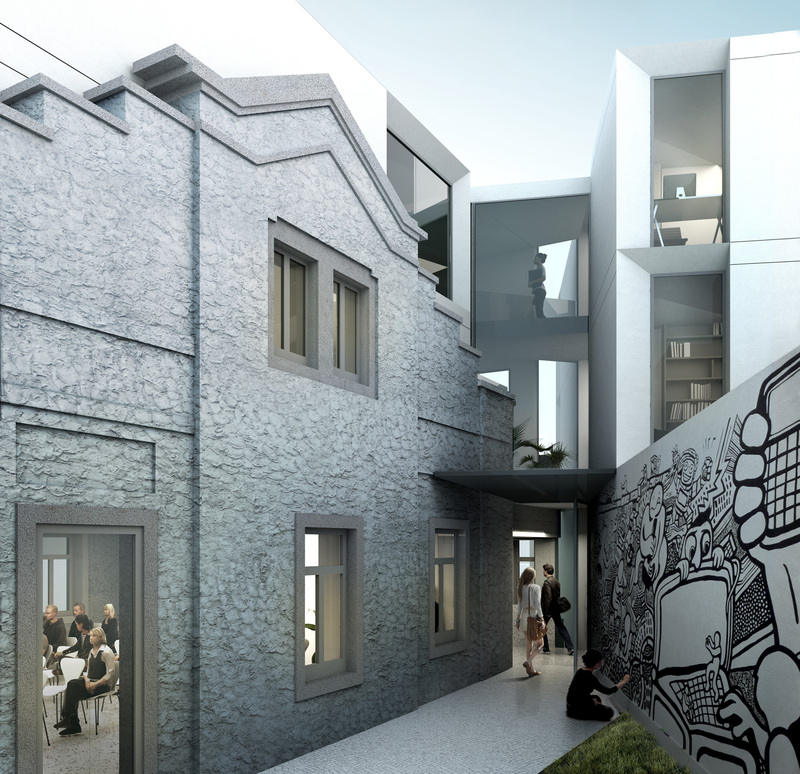 Due to its positioning in the surroundings, the North facade is the most exposed to the urban context, opening up to the newly proposed plaza. 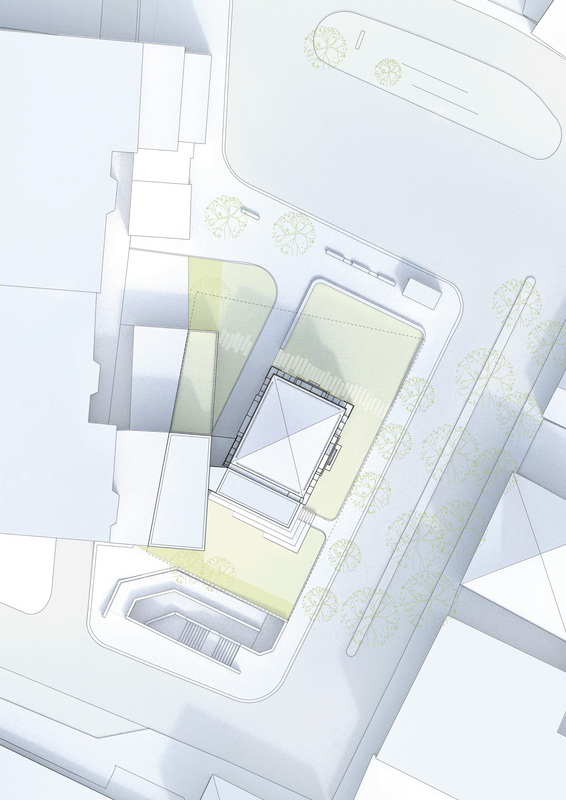 At the culmination of the axes defined by the two volumes, the access to the building is clearly visible from the plaza and works as an extension of the public realm through the building, inviting all inhabitants into this space.